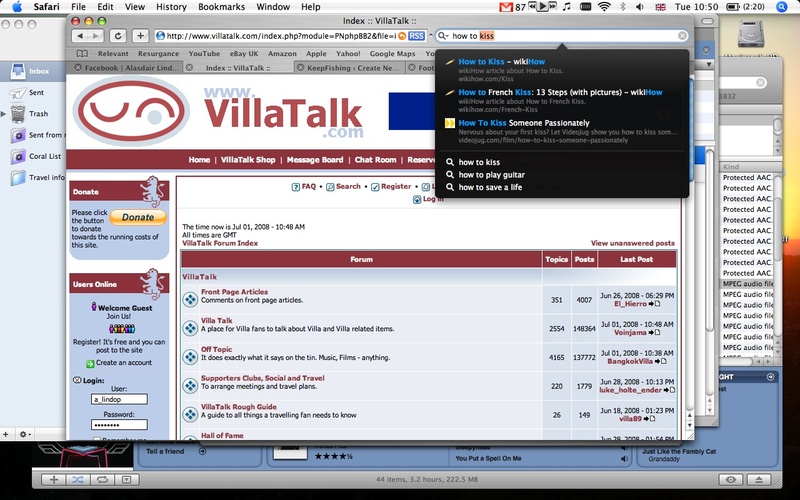 Inquisitor is a handy little plugin for the Mac browser Safari that lets you type in your search and starts guessing what your searching for as you type, giving you the top 3 options from google in a drop down bar. It’s very handy, as by some magic it almost always knows what you’re looking for, saving you valuable clicking time. Now I’m not entirely sure how google rankings work, but I imagine it’s something to do with the number of hits they get. So there must be a lot of people looking for kissing tips, and by the same logic, the top sites must offer some good advice! So naturally, always looking to improve my technique, I enquired. Offer a mint, only after you’ve just had one. This can let the other person know what’s on your mind, unless you offer them mints all the time. Glance at his or her lips. Don’t stare, and don’t do this when they’re talking about something that’s important to them. Kiss her hand. How does she respond? If you’re a girl, you can kiss a guy’s hand, but it tends to have a submissive connotation, where as when a guy does it to a girl, it seems sweet. Mix it up. Kisses are like snowflakes: no two are exactly the same. Make sure your hair is out of your face. Close your eyes. It can be a bit of a turnoff to be kissing and going cross-eyed. Try not to bite the other persons tongue. Remember, a regular kiss is okay too, if your partner is not up for la francais. « And how the crimson flowed! this post made for good distraction in class and an enjoyable ‘read-out-loud’ with friends. thanks! liked the part about kissing tips. i have inquisitor on my mac in safari and it really does work as advertised. quick and accurate too.